In late 2007 I was contacted by Jon Whitledge, who invited me to hear his ambitious car-audio system at the January, 2008 CES. I’d never heard of him, and the prospect of having my ears blown out by thumping bass at massive sound-pressure levels wasn’t my idea of fun. But then Jon described to me his goals for the system, his aesthetic, and the elaborate construction and technology behind what he called the “Magic Bus.” Jon had bought a Sprinter van solely as a platform for building the ultimate mobile-audio system, and spent thousands of hours in his workshop molding new door panels, crafting speaker enclosures on the A pillars that looked integral to the vehicle, building birch-ply woofer cabinets, outfitting the van with acoustic treatments, and installing the electronics and elaborate power system. I had to see and hear this for myself. But in typical audiophile fashion, Jon was just getting started. Building on the system’s fundamental architecture, he spent the next ten years improving its performance. I’ve heard the Magic Bus many times over the last ten years, following its evolution with interest. 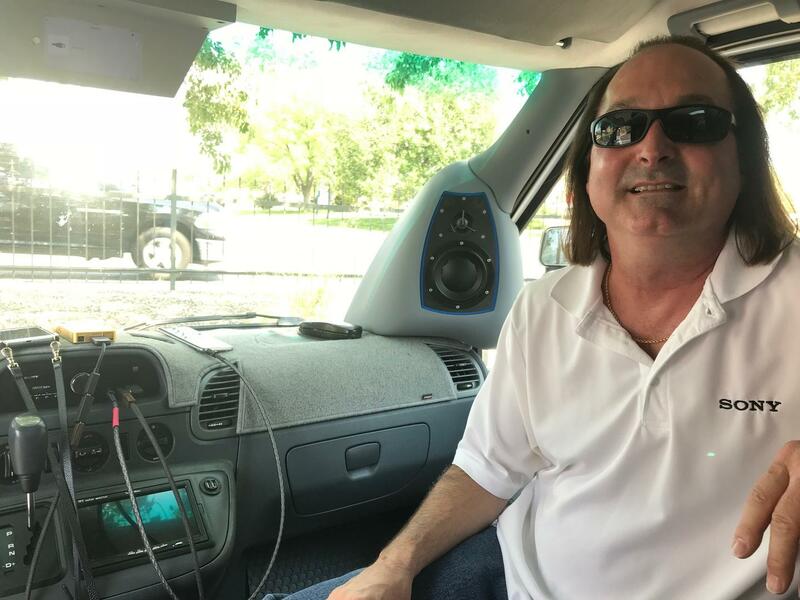 But recently Jon made some significant upgrades, particularly in time-domain performance, that elevated the Magic Bus to an entirely new level of excellence. He developed a technique of measuring the arrival time from the disparate drivers and adjusting that arrival time in DSP to be coincident at the listening position, with astonishing precision. New DSP units, swapped op-amps in the amplifiers, and a Sony head unit capable of high-res PCM and quad-rate DSD (11.2MHz) were part of the new upgrades. I heard the latest Magic Bus, which he calls Version 5.2.3., last week and must say that he’s achieved some kind of breakthrough. The first thing that struck me was the tautness and pitch precision in the bass. From the Sony WM1Z portable player, I cued up “Glamour Profession” from Steely Dan’s Gaucho, a track I’ve listened to on more than a hundred hi-fi systems. I heard every note of the bass line more clearly than ever before. The low end had a crispness and clarity that were world class by any measure, even when judged against the most ambitious high-end systems in dedicated listening rooms. The bass’ textural details were perfectly articulated rather than sounding smeared, and the starts and stops of each note lucidly communicated. The system’s dynamic performance was stunning, and not just because it could play loudly without strain. Rather, the Magic Bus had a wideband transient fidelity that gave music a sense of top-to-bottom coherence and transparency. Bottom-end contrasts were simply astounding; kick drum attacks were startling in their suddenness, and they stopped just as quickly as they started, with no overhang or bloat. The system was a totally effortless in its reproduction of dynamics, as though its headroom were limitless. There was no sense of compression or strain on even the loudest peaks and the lowest bass crescendos. This quality, combined with the pitch precision in the bottom octaves, made the Magic Bus a thrill ride on Talking Heads’ Speaking in Tongues in MQA streamed from Tidal. The rhythmic intricacy and sheer body-moving power on this album is easily diluted by an audio system, but the Magic Bus reproduced it with thrilling intensity. The overall tonal balance was dialed in perfectly, and the midrange was remarkably free from coloration. I listened to Dean Martin’s wonderfully recorded vocal on Dream With Dean, an album that I’d previously heard only on 45-rpm LP through very high-end systems at shows. Although Dean’s voice didn’t have buttery smoothness and liquidity that can be delivered by a top-end all-analog system, it was rich, present, and warm. This track was also notable for the imaging, which perfectly positioned the vocal in the center of the soundstage above the dash. The spatial perspective was just like that of a well-set-up pair of loudspeakers in a room, with width, depth, and precisely placed images. If I closed my eyes I’d never guess that I was sitting in the driver’s seat of a van. The Magic Bus is an amazing achievement, technically and musically. The engineering innovations, and their implementation, are extremely sophisticated. Jon Whitledge’s fanatical ten-year pursuit of better and better performance has culminated in this latest iteration, which to my ears represents a breakthrough. You’d have to hear the coherence, the pitch precision in the bass, the transient fidelity, and the effortlessness of the dynamics to believe it. That these qualities were achieved in a mobile system make it all the more impressive. 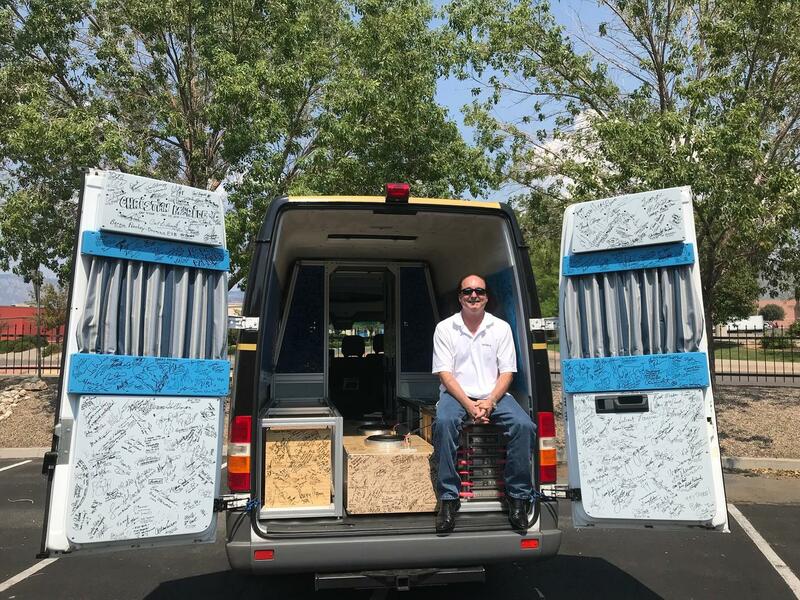 Jon Whitledge and his Magic Bus exemplify the ethos that is the core of high-end audio: unwavering dedication to advancing the state of the art in music reproduction. 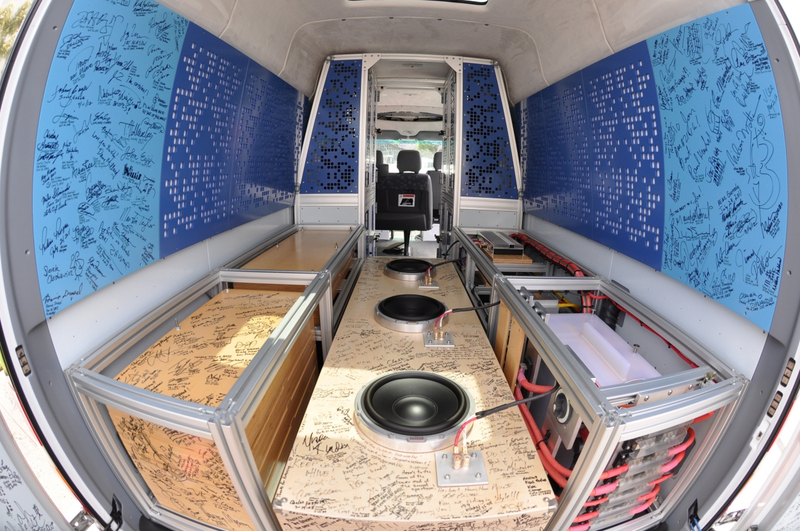 You can see more photos of the Magic Bus and explore its evolution and technology at magicbus.biz.